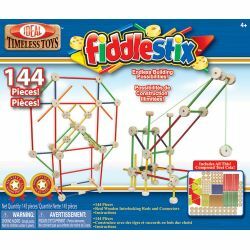 This 144 piece construction toy set is perfect for the budding architect or engineer! 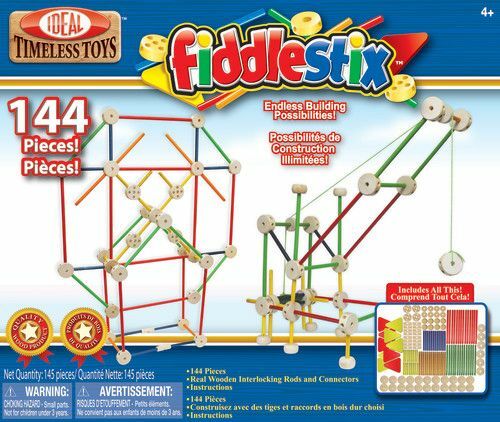 Fiddlestix™ includes 144 colorful paint-free wood rods and connectors for hours of building fun! Kids will be able to create countless combinations of structures such as windmills, helicopters, and more! A perfect gift for kids ages 4 and up!